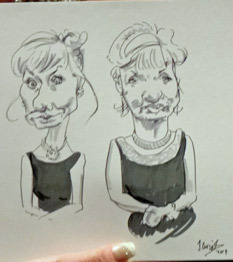 Here are sample caricature drawings from previous events. 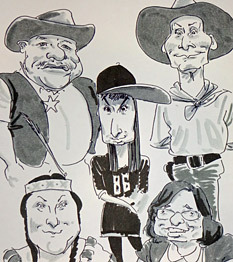 Notice that each drawing is unique. 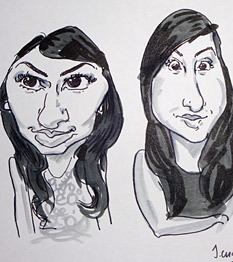 No two faces look the same! 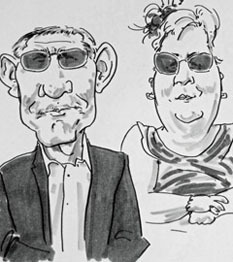 I have drawn live caricatures at weddings, birthday parties, Regimental Summer Balls, summer garden parties and black tie events. 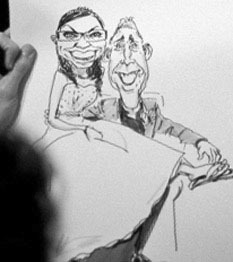 A live caricaturist is great entertainment after the wedding breakfast until the disco. 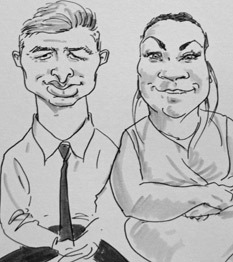 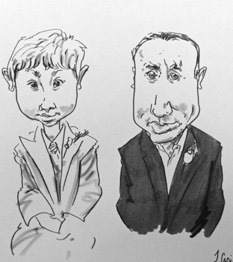 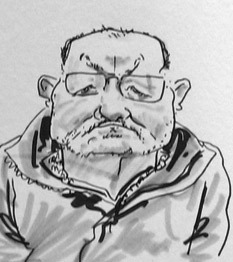 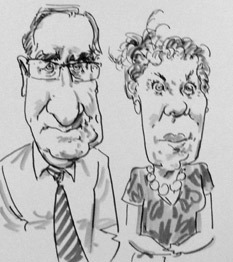 Caricatures take around 5 mins and are made directly in ink on heavyweight cartridge paper. 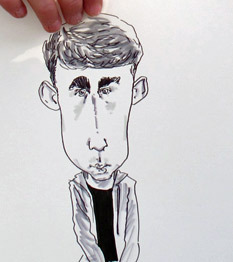 I work from an easel, for best results. 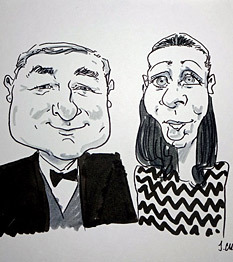 You can hire the caricaturist for weddings in Birmingham and the West Midlands, Leicester, Derbyshire and the Peak District, Shrewsbury and Shropshire, Warwick, Staffordshire, and maybe further afield. 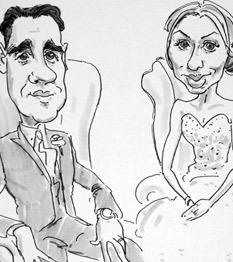 For a wedding quote, please email with dates, timings and location. 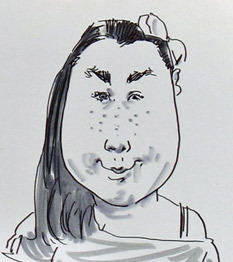 The price of live caricatures depends on drawing time and travel. 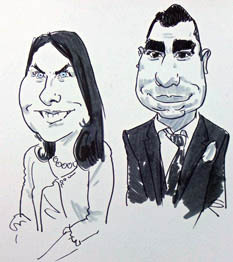 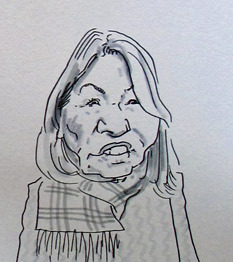 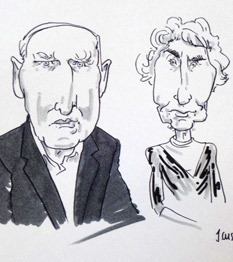 The recent work page has a range of caricatures from each event, so do take a look there.